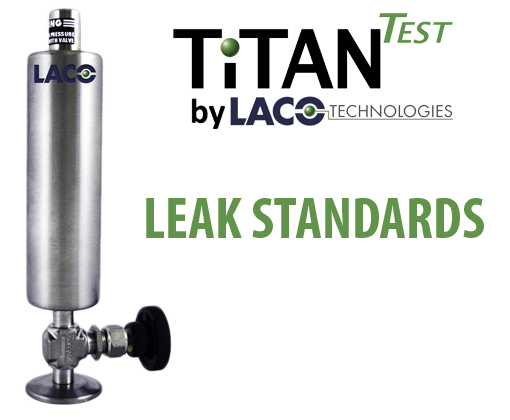 LACO’s TitanTest™ Helium Leak Detector is more than just an instrument, it is a comprehensive leak test solution. 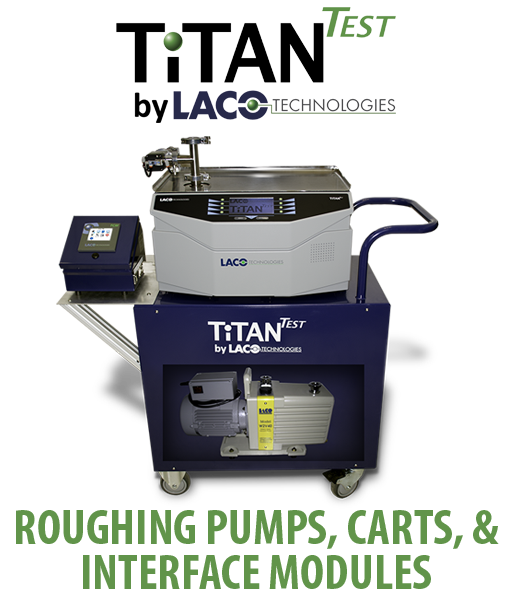 This helium leak detector can come equipped with everything you need for your specific leak testing application, and LACO will be there to help you with all of your leak test process needs; from start to finish. Automated Helium Fill and Charging Systems for Easy Helium Management. External Roughing Pumps and Carts – We offer the best roughing pump technology and sizes to optimize your test cycle time. When paired with our custom cart, you get a mobile production workstation. 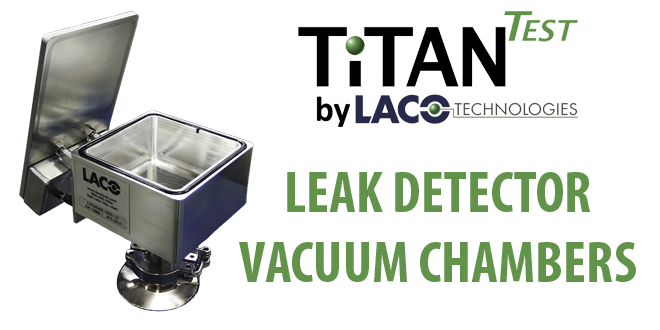 Standard benchtop configuration is also available. 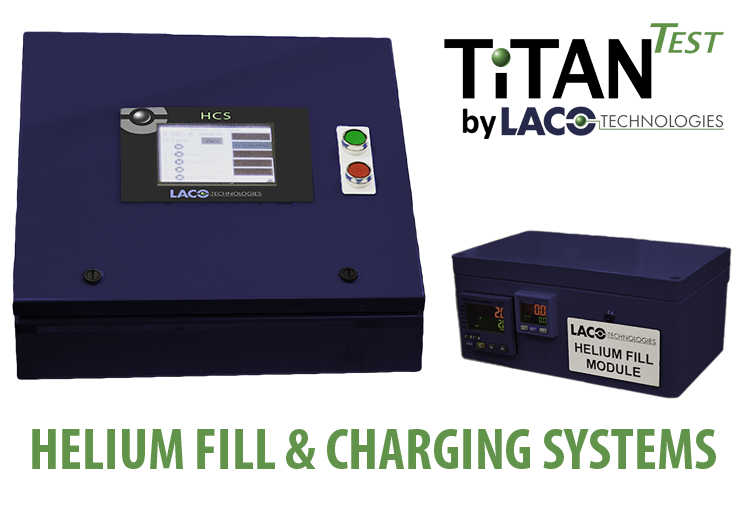 Also, seen in the image below is a Communication Interface Module with data storage for quality control monitoring. 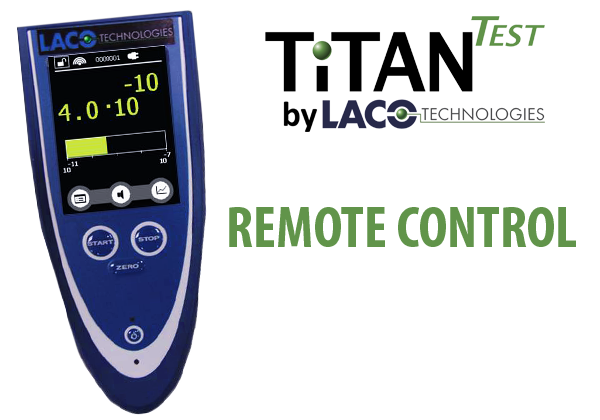 Helium Calibrated Leak Standards for Increased Measurement Accuracy. Remote Control for Increased Operation Flexibility. 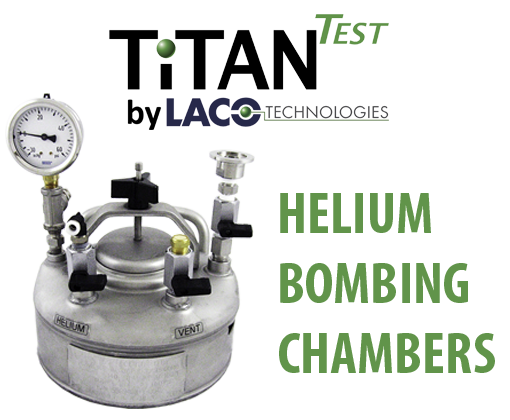 Leak Detector Vacuum Chambers Designed to be Mounted on the Inlet Port of Your TitanTest™ to Ensure Fast and Reliable Leak Testing. Helium Bombing Chambers for Leak Testing Sealed Parts. 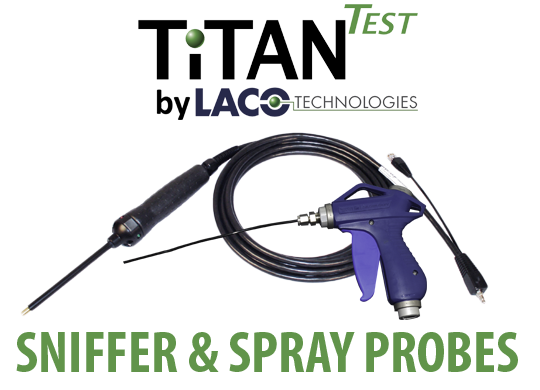 Helium Sniffer and Helium Spray Probes Help Provide Quick and Easy Maintenance. 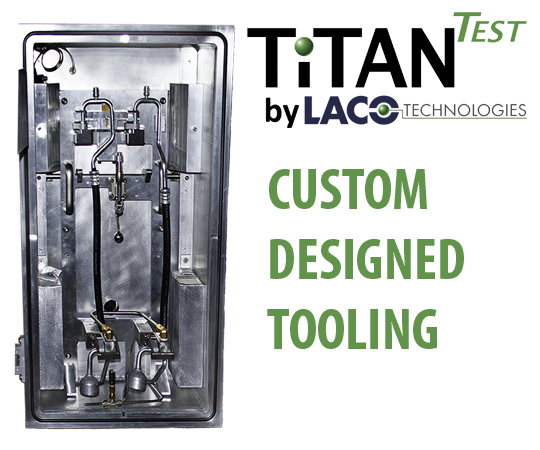 Custom Designed Tooling for Maximum Performance. 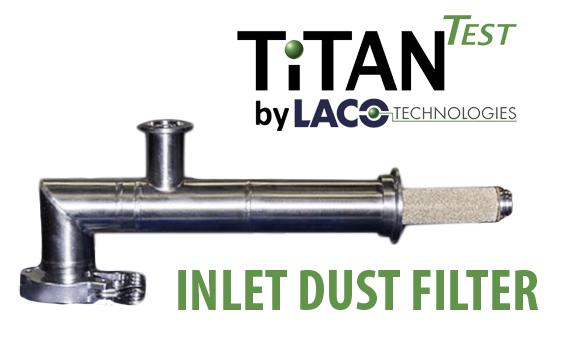 Inlet Dust Filter for Protection.